St. Ignatius was born in the family castle in Guipúzcoa, Spain, the youngest of 13 children, and was called Ińigo. When he was old enough, he became a page, and then a soldier of Spain to fight against the French. A cannon ball and a series of bad operations ended his military career in 1521. While St. Ignatius recovered, he read the lives of the saints, and decided to dedicate himself to becoming a soldier of the Catholic Faith. Soon after he experienced visions, but a year later suffered a trial of fears and scruples, driving him almost to despair. Out of this experience he wrote his famous “Spiritual Exercises”. After traveling and studying in different schools, he finished in Paris, where he received his degree at the age of 43. Many first hated St. Ignatius because of his humble Lifestyle. Despite this, he attracted several followers at the university, including St. Francis Xavier, and soon started his order called The Society of Jesus, or Jesuits. 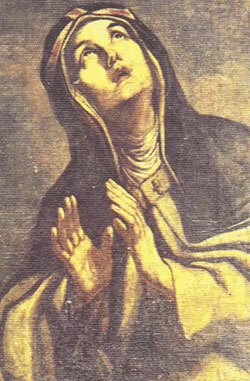 There are 38 members of the Society of Jesus who have been declared Blessed, and 38 who have been canonized as saints. He died at the age of 65. 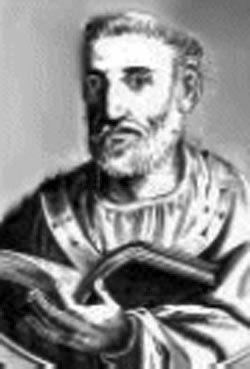 St. Peter Chrysologus, Bishop and Doctor of the Church (Feast-July 30) Born at Imola, Italy in 406, St. Peter was baptized, educated, and ordained a deacon by Cornelius, Bishop of Imola. St. Peter merited being called “Chrysologus” (golden-worded) from his exceptional oratorical eloquence. 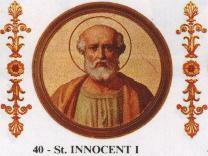 In 433, Pope Sixtus III consecrated him bishop of Ravenna. He practiced many corporal and spiritual works of mercy, and ruled his flock with utmost diligence and care. He extirpated the last vestiges of paganism and other abuses that had sprouted among his people, cautioning them especially against indecent dancing. “Anyone who wishes to frolic with the devil,” he remarked, “cannot rejoice with Christ.” He also counseled the heretic Eutyches (who had asked for his support) to avoid causing division but to learn from the other heretics who were crushed when they hurled themselves against the Rock of Peter. He died at Imola, Italy in 450 and in 1729 was made a Doctor of the Church, largely as a result of his simple, practical, and clear sermons which have come down to us, nearly all dealing with Gospel subjects. Many of us find it easy to identify with Martha in the story Luke tells. Martha welcomes Jesus and his disciples into her home and immediately goes to work to serve them. Hospitality is paramount in the Middle East and Martha believed in its importance. Imagine her frustration when her sister Mary ignores the rule of hospitality and Martha’s work in order to sit and listen to Jesus. Instead of speaking to her sister, she asks Jesus to intervene. Jesus’ response is not unkind, which gives us an idea of his affection for her. He observes that Martha is worried about many things that distract her from really being present to him. He reminds her that there is only one thing that is truly important — listening to him. And that is what Mary has done. In Martha we see ourselves — worried and distracted by all we have to do in the world and forgetting to spend time with Jesus. It is, however, comforting to note that Jesus loved her just the same. Her conversation with Jesus shows her faith and courage. In this dialogue she states clearly without doubt that she believes in Jesus’ power, in the resurrection, and most of all that Jesus is the Son of God. Jesus tells her that he is the resurrection and the life and then goes on to raise her brother from the dead. Our final picture of Martha in Scripture is the one that sums up who she was. Jesus has returned to Bethany some time later to share a meal with his good friends. In this home were three extraordinary people. We hear how brother Lazarus caused a stir when was brought back to life. We hear how Mary causes a commotion at dinner by annointing Jesus with expensive perfume. But all we hear about Martha is the simple statement: “Martha served.” She isn’t in the spotlight, she doesn’t do showy things, she doesn’t receive spectacular miracles. She simply serves Jesus. Dorothy Day said: “If everyone were holy and handsome, it would be easy to see Christ in everyone. But it was not Christ’s way for himself. Ask honestly what you would do when a beggar asked at your house for food. Would you give it on an old cracked plate, thinking that was good enough? Do you think that Martha and Mary thought that the old and chipped dish was good enough for their guest? It is not a duty to help Christ — it is a privilege.” In what ways do you serve Christ others grudgingly or sparingly? How can you serve them the way Martha served Christ, putting her whole self into it? 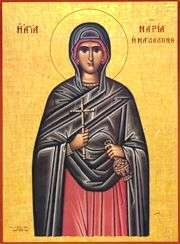 St Pantaleon came from Nicomedia, near the Black Sea, in Asia. He was such a famous doctor that the Emperor himself chose him for his own doctor. Pantaleon was a Christian, but the bad influence from the pagan court caused him to give up his Christian faith entirely. A holy priest named Hermolaos made him realize what a sin he had committed. Pantaleon listened to him, detested his sin and joined the Church once more. To make up for what he had done, he greatly desired to suffer and die for Jesus. In the meantime, he imitated Our Lord’s charity by taking care of poor sick people without any charge for his medical services. When the Emperor Diocletian began his persecution, Pantaleon at once gave away everything he owned to the poor. Not long afterwards, he was accused of being a Christian. He was given the choice of denying his Faith or being put to death. No torture could force Pantaleon to deny his Faith. There has been strong devotion in past ages to this Saint. In the East he is called the “Great Martyr and Wonder-worker.” Saint Pantaleon’s feast day is July 27th. One of the Forty Martyrs of England and Wales. He was born at Dufton, at Westmoreland, England, and studied at Oxford. Becoming a Catholic in 1576, he went to Reims and received ordination in 1581. John went back to England where he worked in the northern parts of the kingdom and became the object of a massive manhunt. He was betrayed, arrested, and taken to London. There he was crippled on the rack and returned to Dryburn near Durham. On July 24, he was hanged, drawn, and quartered. 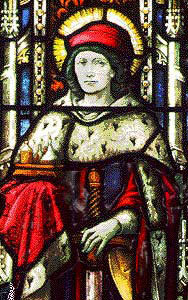 John was canonized by Pope Paul VI in 1970 as a martyr of Durham.